The beautiful parkland setting of Flete Park, near Ermington is the setting for this weekend’s meeting in the Devon & Cornwall area on Saturday 21st April. Seven races will be on offer with pony racing, which has been kindly sponsored by landowner Antony Mildmay-White, heading up the action at 1pm, followed by the main race card at 2pm. A total of 118 entries have been received. The Totnes & Bridgetown-sponsored Timico Mixed Open Race, with its prize fund of £550 and a ticket to the Timico Mixed Open Final to be held at Cheltenham in May to the winner, is the feature race of the day. This race has attracted entries from across the country which include Medieval Chapel for Wantage trainer Georgie Nicholls. Medieval Chapel is owned by National Hunt champion trainer Nicky Henderson and is ridden by his daughter Camilla, and their recent win at Lockinge, when coming home the only finisher that day, could see them get competitive here. Whenharrymetsally for trainer Keith Cumings could fly the flag for the area, having won 13 of her starts to date, acts any going and could follow up on her Men’s Open win at Buckfastleigh for jockey Matt Hampton. Mic’s Delight for local owner/trainer/jockey and veterinary surgeon Jennifer Davenport, will put up another game performance here and could finish in the frame after his second at Cherrybrook as long as is there is some give in the ground. Local trainer Sam Holdsworth will be looking for another good performance from Skylander and jockey Tomasina Eyston in the opening Salon Called Fish-sponsored Members race, to follow up on their win at Didmarton in March. Skylander could appreciate the drying ground as previously well held in fourth at Cherrybrook in heavy going. Wind Tor is another to consider, out of the inform Ed Walker yard, the team will be looking for him to follow-up on his recent Cherrybrook win when ridden by Josh Newman. Do not discount Ambitious Pursuit, a four time winner at this her local track, could come into form and would be a popular winner here for the Glanville family. The Lycets-sponsored Restricted race could go the way of Missyladie under a light weight of ten stone, another for local jockey Tomasina Eyston and team Holdsworth. 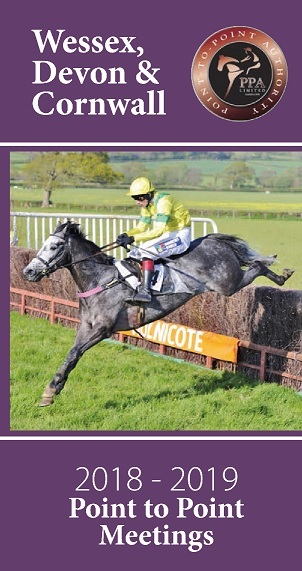 This four-year-old was impressive with her 15-length maiden win at Didmarton in March. Both Minella Rising (Ed Walker) and Predestined (Gordon Chambers) both won their maiden races at Buckfastleigh and could progress here if going suits. The Open Maiden race for four to six-year olds is sponsored by Francis Clark. This looks wide open with many debutants entered. Those having shown some notable form are the two Jo Tickle-trained entries Georges Legacy after her second at Cherrybrook, and Robin Why Not who ran into a half length second place also at the Buckfastleigh meeting in March. Joe has a good record at this track with Maiden horses. Blazing Rocabelle for owner/breeder Rita Heard trained by the Big Brook team, ran well before finishing fourth on testing going at Buckfastleigh and could improve for that outing. Crackacan stands out in the Rogers of Plymouth-sponsored Conditions race, having run well in second at Larkhill for the Julie Pocock yard based in the Quantock area, along with Marie McGuinness’s-trained Presenting sired gelding Tackler, after his second at Badbury Rings earlier this month and previous Milbourne St Andrew runner up place. Doyen Dynamo could be the one to fly the flag for the area and team Walker, having won three races on varying going and the yard in good form. 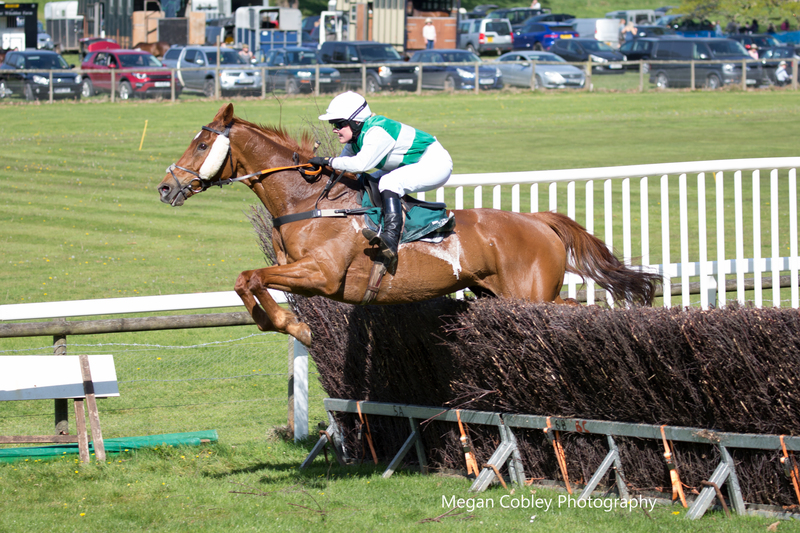 Angels Hill had a recent outing at Cherrybrook and although finishing third of the three runners that day, the Lewis family are hopeful of an improved performance here on less testing ground. The Confined race is run in memory of Elizabeth May and sponsored by Full Circle Motors. This looks competitive with 17 entries. The Nicola Martin-trained The Two Amigos will be likely favourite being on four out of four in Points so far, with their latest win coming home unchallenged five lengths ahead of the field at Kilworthy under jockey Darren Edwards. Also entered is Honest Deed for trainer Dean Summersby who will be hoping he can maintain his form and follow up on his recent win in the Intermediate race at Cherrybrook. Prince of Poets, for trainer John Heard and jockey Rex Dingle was quietly fancied in the betting arena when finishing second at Buckfastleigh, looks to act on any going, and would be a worthy each way one for punters to consider. 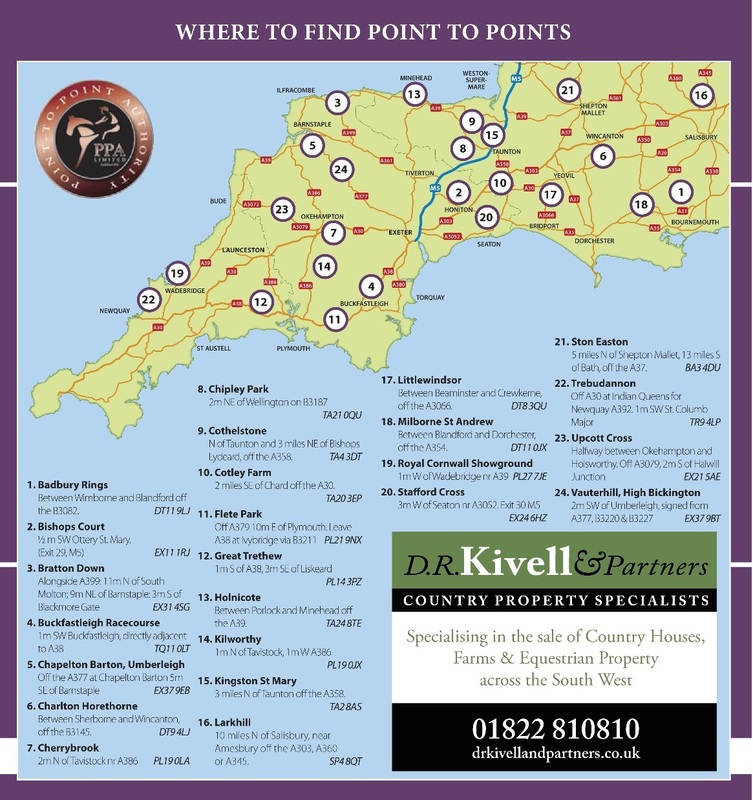 The Kitson-sponsored Open Maiden race follows in which Dragon de la Tour stands out having finished one-and-a half lengths second at Milbourne St Andrew, and could continue the winning form for the Nethercott yard. Both Mountian Las and Ohbaby clocked up seconds at Cherrybrook and Great Trethew respectively and will be worth following for any market support. Then follows a charity Clydesdale race run in aid of Devon Air Ambulance which features local Farriers taking on a team of Veterinary Surgeons from South Moor Vets. It is always a joy to watch these huge horse specimens thundering down the home straight with the novice jockey’s on board raising funds for a worthy cause. On course facilities include beer tent, plenty of hot food and refreshment stands, bookies and 17 trade stands varying from Fine Arts by Insitju, Farmers Friend for country wear to Sam Bradley & Wolfrock Boat stands, giving the course a real country show atmosphere. Entrance to the course is £10 per person to a max of £30 per car. Pedestrians £10 and Children under 16 free. Dogs only on leads welcome. The course is located at Flete Park, Ermington PL21 9NX.